Last week, Milan saw one of the most exciting times of the year… Milan Design Week 2017. One of the most important events in the year, it is a great opportunity for designers, architects and artists launch their new products and show off their masterpieces. It is also a great even where design fanatics can attend, finding out what’s new and be awe struck by the amazing exhibitions. The “Multiplex” platform by British designer Tim Dixon portrayed an exhibition where the “original met the new” in true Dixon fashion. The stylish exhibition also included his new light range: “Cut”. 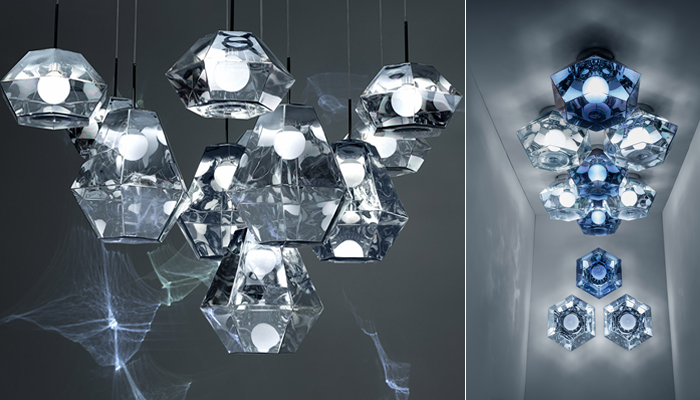 Using metallic materials and mirrors, the reflections create kaleidoscopic shapes and figures through the use of light. The effect created becomes mesmerising and truly magical! Yuri Suzuki collaborated with Audi this year, making use of the same courtyard that Nendo used last year at the show. On the historic courtyard, there were 30 swinging pendulums that each played an ambient bassline. 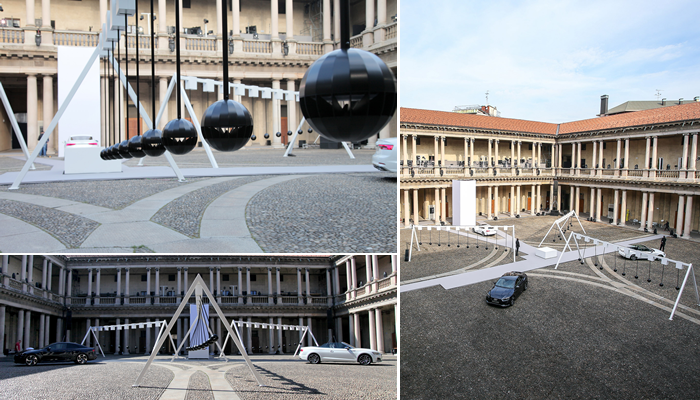 The pendulums were all added onto 3 swinging frames, forming what looked like “Newton’s Cradles” with Audi car models alongside them. Keen visitors were able to listen to the soothing sounds whilst looking at the new cars. The relaxing music was intended to relax the visitors, making sure that they made the most of the experience, peacefully and thus taking everything in. 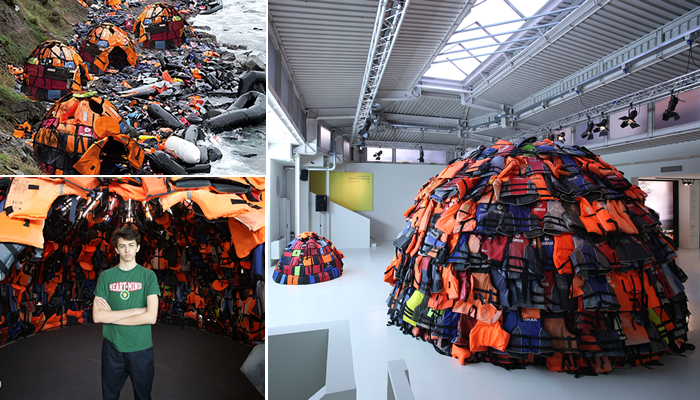 At only 16, Archilleas Souras showcased his igloos made from lifejackets, intending to draw attention to the global migrant issues faced, even more so recently. He has used life jackets found in Lesbos, a regular landing spot for refugees, to build igloos offering shelter. The talented artist has made use of a striking point that often surfaces in the news and has offered much needed help, using materials that are intended to save lives as a basis material. Exhibited in one of Milan’s oldest churches Basilica di Sant’Ambrogio, 11 Australian designers showcased their works using 8000 bricks as platforms. The white “stages” that were created to display furniture, lighting and household objects. Using an old canvas, the Australian designers represented the rapid growth in “interest for Australian design”. The key element that was emphasised here was progression and the importance of history and local heritage. In collaboration with Lensvelt, Dutch designer Maarten Baas created an exhibit that was certainly something to shout about! The “May I have Your Attention Please?” presentation was displayed in a vault that is adjacent to one of Italy’s busiest railway stations, Ventura Centrale. The works consisted of bullhorns, which emitted whispered voices that represented the hustle and bustle of modern life, portraying the “energy of people”. 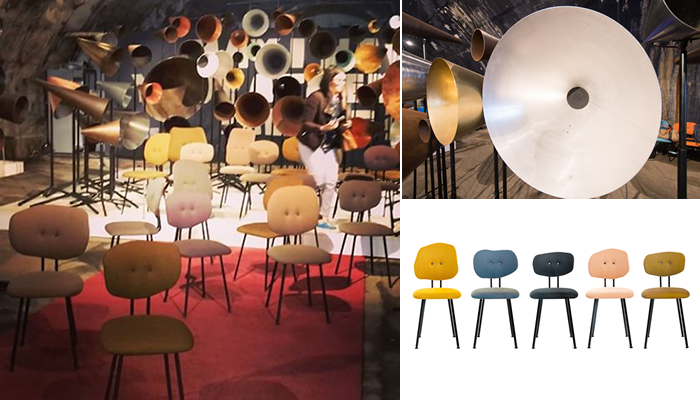 As part of the same show, Baas launched his new range of chairs: Maarten Baas 101. The chairs were all shown in individual colours, which emphasised how unique they all are, just like the noises surrounding them. It was a great portrayal of identity and a great representation of how individuality should be embraced. 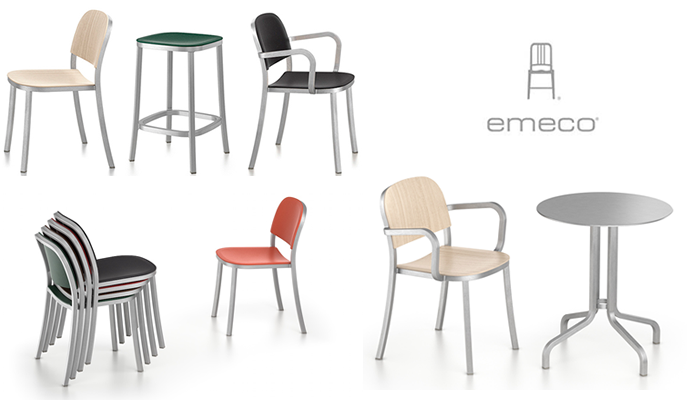 Designer Jasper Morrison created a new chair range for Emeco, a company that is more widely known for the Emeco 1006 “Navy Chair”. 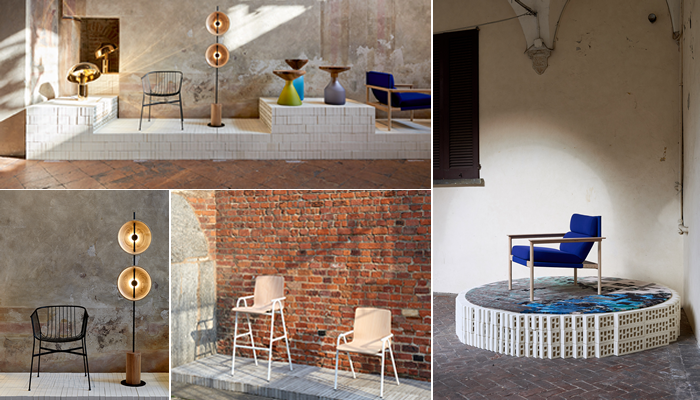 The collection consists of chairs, high stools that come in different heights and tables. The British designer used recycled aluminium to create the framework and the surface materials used were also reclaimed. The tube structure used for the furniture frames is only 1 inch thick and thus the origins of the range’s title. The thickness chosen was for its “strength-to-weight” ratio. Although simple in design, the 1 Inch range is environmentally conscious and very aesthetically pleasing.